We’re on the back end of a windy week in Southern California and as I sit here writing this on Thursday morning I can see the leaves on the tree outside my window are still rustling but they’re doing it a little less than yesterday. The weather forecast is calling for another system to move through on Friday night and Saturday morning. I wouldn’t let it keep you from going fishing as the winds are forecast to be calm and the fish are already wet so a little rain shouldn’t hurt them. Despite the wind driven lack of reports over the last few days the fishing is actually pretty good and it looks like the bite is headed in a springtime direction. As you can tell by the big seabass that Rob Webster is hoisting above, a fish he caught on 12# dacron line, the seabass are biting for boats fishing the islands with live squid. This fish was one of several that Captain Brandon Hayward of One Man Charters put his clients on over the last couple weeks. 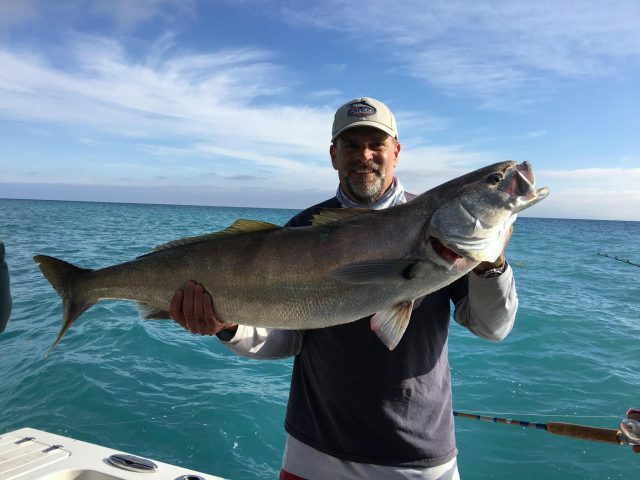 Hayward reported good fishing on the last of his lobster/seabass combo trips for the season and said that the signs of life he’s been seeing at the islands and along the coast bode well for the spring bite. You can contact Hayward through his website to find out about openings on upcoming trips or to charter the boat for yourself. He is offering both 12-hour trips and reverse 1 1/2-day trips to maximize bite times. 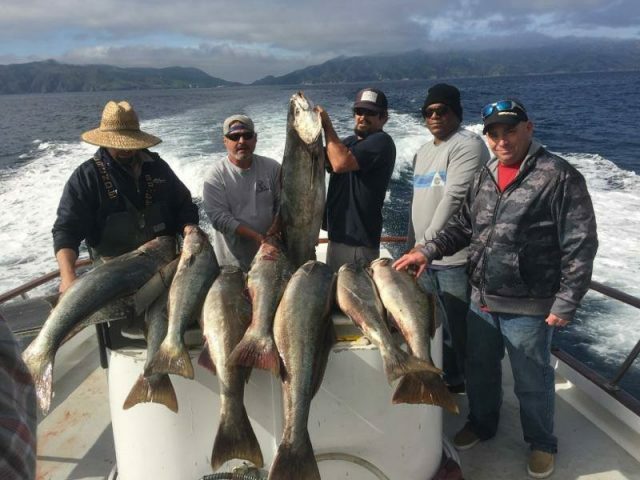 The Dreamer out of Pierpoint Landing has been getting in on the seabass action as well and reported limits of 20 to 50-pound fish for anglers and crew on their trip over the weekend. 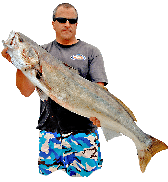 Sport boats fishing Catalina have been getting shot seabass too, but if you’re serious about getting a good shot at catching one your best bet is to book a guide like Hayward or charter a six pack like the Dreamer. 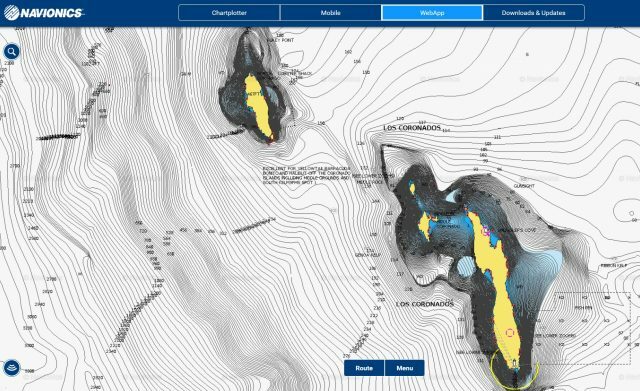 Private boaters are getting in on the action as well and according to Bloodydecks member Jonathon the key to catching fish lies in finding conditions. You can read the full report of his recent trip here. Farther south the yellowtail are starting to bite at the Coronado Islands. The bite has been sporadic, as is often the case at this time of year, but boats lucky enough to find themselves in the right place at the right time have been scoring fish. 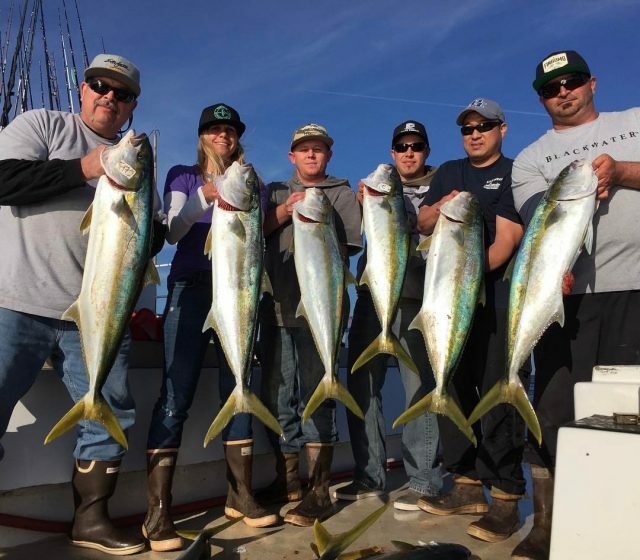 High count for the week was aboard the Mission Belle out of Point Loma Sportfishing on Tuesday when the boat tallied 36 yellowtail for only 15 anglers. The San Diego out of Seaforth Landing has been on the fish all week as well and Captain Ryan Bostian had 20 fish for 25 anglers on Saturday’s trip. He also found several big schools on Tuesday but only scored 8 fish as the fish weren’t in a biting mood. When it comes to springtime yellowtail the difference between a very slow day and wide open action often comes down to just finding a school that wants to bite. There are plenty of fish to be caught right now, but if you wait for reports of good fishing to get out on the water you’re likely to experience the old, “should have been here yesterday.” So just get out there and go fishing. And if you’re going on Saturday bring a jacket because you might get rained on.